Cooperating with Russian institutes, Krymagrotehnologiy Institute is one of the leading developers and manufacturers of products for the livestock and crop production. They preserved approximately 8 million tons of fodder using LACTIS biopreservative (without a single complaint from the farms). Wheat straw silage using LACTIS C-100 allows the agricultural producers to have additional 200 to 240 fodder units from a tone of silage straw with 90% eatability. IMPULSE plant growth regulator features unique efficiency, since it allows reducing the sowing rate when seeding, reducing the rate of protectants, fungicides, and other components, as well as receiving a significant yield increase. Lactis biopreservative was developed, is manufactured and sold exclusively by Krymagrotehnologiy Institute, which is the sole owner of Lactis trademark. The production uses the latest eco-friendly and high-precision technologies, featuring a broad spectrum of biological activity, exercising a direct positive impact on the focused regulation of the lactic fermentation process when preserving the forage, as well as on metabolism and increase of the body resistance of ruminants to adverse environmental conditions. Lactis biopreservative is a concentrated microbiological lactobacilli complex designed for haylaging and silage of any forage crop (legumes, cereals and mixtures thereof, corn, rough-stemmed residues of crop production, bagasse, crushed grain or grain with high humidity) in order to get only high-quality and biologically active fodder. Lactis biopreservative is a bacterial concentrate containing very significant amounts of lactic acid bacteria (a complex of 9 types), directionally responding to the lactic fermentation process at each maturation stage during the fodder storage period. At sub-zero temperatures, the bacteria fall asleep (when the temperature is stabilized, even during the internal warming of the prepared mass, it wakes up and continues to work). The strains of these bacteria, softening the tissue, are able to absorb not only simple, but also complex sugars from cell juice of the crops classified as "hardly silage" and "not subject to silage" (e.g., legumes). In total, the bacterium consumes 18% of sugars, and the remaining amount of sugar is brought to a qualitatively productive level. Lactis biopreservative sharply intensifies the process of fermentation of the ground plant matter to produce useful biologically-active microflora, which, inhibiting the pathogenic microflora, suppresses the butyric and putrid fermentation, and promotes uniform distribution of lactic acid in the bulk fodder. The antagonistic effect of the complex of lactic acid bacteria on the putrid (pathogenic) microflora is associated with better retention of protein by 15-20%; preservation of dry matter by 90-95%; preservation of organic substances by 90 - 95%, including the crude protein by 85-95%, carotene by 75-85%, and improves its digestibility by 5-15%; better preservation of vitamins A and C; increase in the biosynthesis of B2, B6, B12 vitamins; improved forage quality by composition of organic acids and amino acids; prevention of accumulation of the dangerous concentration of butyric acid in animal fodder; fodder enrichment with pure cultures of lactic bacteria, which contributes to stabilization and normalization of the digestive tract microflora and overall vital functions of ruminants; production of moderately acidic fodder with good taste and smell. Lactis biopreservative consumption is only 1 liter per 1,000 tons of produced mass, which results in saving during transportation and storage. Unlike chemical preservatives, Lactis biopreservative is completely safe, both for animals and for staff preparing the fodder, because it is a useful form of bacteria and does not contain toxic and malodorous components. Lactis biopreservative is not chemically aggressive and does not cause corrosion of equipment and machinery. Consequently, the fodder not contain nitrate, unlike fodder prepared using the chemical preservatives. Fodders with Lactis biopreservative are clean, free of preservatives and their decay products. CONCLUSION: Guaranteed and stable additional profits earned by the economy is many times higher than the costs associated with the use of Lactis biopreservative. Lactis biopreservative is a light yellow bacteria concentrate, completely (without residue) soluble in water. Bacterial titer (Min/6.0 x 1016CFU/g), according to SES laboratory research findings in respect of Lactis biopreservative (the number of lactic acid bacteria per gram of bacterial concentrate) significantly surpasses similar imported and domestically produced preservatives. Another advantage is guaranteed first class fodder. Lactis biopreservative is packaged and packed in1 liter plastic containers. The shelf life without reduction of bacterial titers in Lactis biopreservative is max 6 months at 0 to 18°C, and up to 8 months in the household refrigerator at an average temperature of 0 to 4°C. 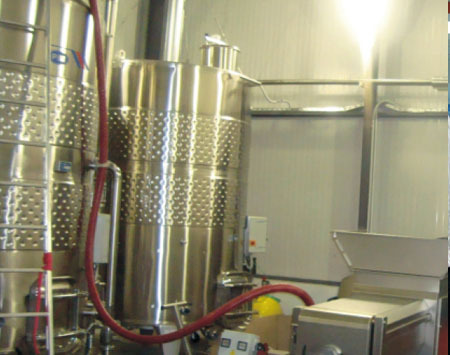 The biopreservative is introduced into a clean dispenser connected to the dosing system for enzyme solutions of the forage harvester. Then a required amount of settled (chlorine-free) water is added to the tank at the rate of the established enzyme solution flow rate of the metering device, one (1) liter of biopreservative per two hundred (200) liters of water (chlorine-free). The solution is mixed carefully. The solution is immediately ready for use. If the tank volume is less than 200 liters, it is required to dissolve less biopreservative at the above proportions and the rest of the biopreservative shall be placed in the refrigerator. 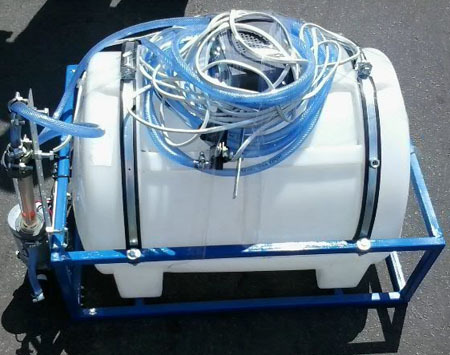 The working solution is immediately ready for use and can be applied by any means (using a dispenser, watering pot, hand sprayer, etc). The guaranteed activity of the working (diluted) solution is max two days. In the case of non-use, the working solution shall be drained and place in the refrigerator at t = 0 to +18o. It is better to dilute the required amount of biopreservative only, subject to calculation of the harvester ability to collect the green mass per day. As the fodder storage is filled, the fodder must be leveled before ramming, and then quickly and reliably isolated from the air access with a polyethylene film followed by its formation into a single panel and firmly pressed down with the load preventing the silo pit opening. As a result of repeated experimental tests related to dilution of Lactisbiopreservative in chlorine-free water at the temperature of +10o, +20o, and +50oC, exactly the same, uniform dissolution was found. The estimated application dose is one (1) liter of Lactis biopreservative is designed to be applied to one thousand (1,000) tons of the plant mass. When the rolled wet corn grain is silaged/canned and when the haylage humidity is more than 65%, and the silage humidity is more than 75%, a double dose of Lactis biopreservative is required, i.e. 2 liters per one thousand (1,000) tons. 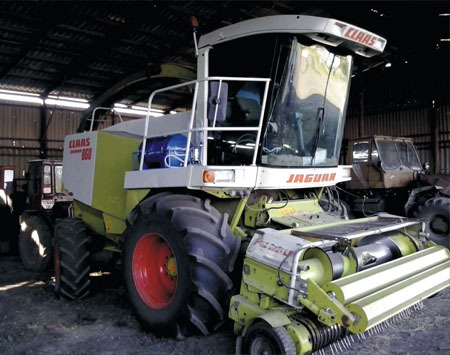 When the plant matter is grinded in the forage harvester, loaded into truck, moved by a bulldozer to the ramming site and rammed, the introduced bacteria quickly spread about the cell juice, and intensive fermentation process begins soon, preventing the spoilage organism development. The fermentation process can easily by determined by the smell of the rammed mass. After 21 days, the prepared fodder can be analyzed, depending on its class. It is desirable to use special equipment to apply a liquid preservative. It is also important to pay attention to the amount of applied preservative. Please, note: The greater the number of lactic acid bacteria originally introduced into the crop, the faster and the more efficient is the fodder preservation process involving the useful microflora production, and therefore all nutrients and biologically active substances are preserved better and too a greater extent, which eventually significantly affects the additional forage units and quality (proficiency) of the fodder. A characteristic feature of the straw is the content of fiber and nitrogen-free extractive substances therein. These complex carbohydrates (polysaccharides) feature have substantial nutritional value for ruminants. Straw also contains a certain amount of protein. The straw nutrients digestibility factor is relatively low. Therefore, straw preparation for feeding is of great economic importance and allows its more efficient use. One of the generally available biological methods of straw processing is silaging based on the use of lactic acid bacteria generating the lactic and acetic acid required for fodder acidification and improvement of its palatability. 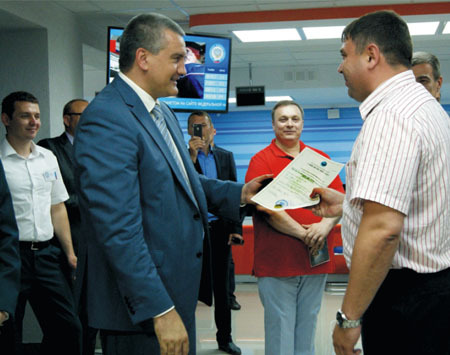 According to Poltava zonal agrochemical laboratory, the palatability of silage straw is 90%. 100 kg of fodder contains 15 kg of digestible protein, and 24 kg of fodder units. Thus, the wheat straw conversion into silage allows an agricultural producer to have additional 200-240 fodder units per ton of silaged straw. The straw should be silage in lined trenches, disinfected with 2% solution of sodium hydroxide, or whitewashed with lime. 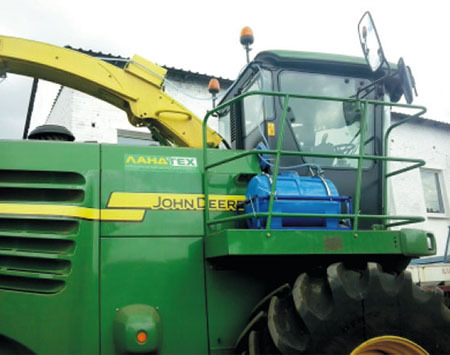 For easy loading of straw after harvesting into the trench, it is expedient to mow it up at sites located on both sides of the trench, but the straw should be loaded into the trench after weighing on the scales. These data are required to calculate the volume of water wetting the straw and the volume of the working of the working leaven of Lactis-C100. Working leaven Lactis-C100 is prepared taking into account the daily need at the rate of 10 g of the product per 1 ton of straw. For example, to lay 100 tons of straw per day, one kg of the product is diluted in 200 liters of water and is consumed at the rate of 2 liters per 1 ton of silage. First, a layer of straw 30-40 cm thick is laid at the bottom of the silotrench, which is leveled and compacted continuously with a heavy tractor. Then the straw is applied in layers 20-30 cm thick. Each layer is moistened with water at the rate of bringing straw humidity up to 65% (0.6 to 0.8 m3 of water per 1 ton of straw). The water is suppled using a pump and a hose with the water meter, and sprayed uniformly over the entire surface of the silage mass. Then, any spraying machine applies the working leaven of Lactis-C100. The silage mass is rammed using heavy tractors, which must be placed in the trench until silaging completion. The parietal part of the mass shall be rammed more carefully. After silage laying, a protrusion mound 50 to 70 cm high should be formed over the trench, and then the wet mass is further compacted for 6-8 hours and covered with polyethylene film followed by its formation into a single panel and firmly pressed down with a load to prevent the silo opening. The straw silage is matured within 30 days after laying. Straw silage as a diet ration should initially be fed to animals in a small amount, 2 to 3 kg to cattle and 0.3 to 0.5 kg to sheep per day. Further, 30%-50% on a dry matter basis of this fodder may be added to the animal diet. The experts of Krymagrotehnologiy Institute put into practice Impulse, a unique plant growth regulator, developed on the basis of nanotechnology,featuring unique efficiency, as it allows reducing the seeding rate to 50% when sowing rice, soy, canola, buckwheat, wheat, and barley, reducing the rate of the dresser and nitrate by 50% and the rate of fungicides by 25%, as well as herbicides by at least 30%, and, while decreasing the seeding rate, to receive an increase in yield compared to the conventional technology by 3 to 15 hundredweight per ha. The components making up the Impulse PGR, i.e. chelates, immunomodulators, adaptogens and others allow increasing the number of productive stems to 5-8 for rice, up to 12-16 for wheat, and up to 30-36 for barley during seed treatment with protectants. Due to these product properties, the costs of its purchase is paid off by saving on seeds, pesticides, nitrates, protectants, herbicides, fungicides and others, as well as a substantial increase in the yield. The product increases the number of grains per ear, protein content by 0.9-1.3%, gluten by 0.5-2.4% and grain nature by 2.8-3.1 g. Impulse PGR has a positive effect on the time of maturation, increases plant resistance to disease, drought, and adverse effects of temperature, increases frost resistance, improves the hormonal status of the plants, synchronizes flowering and fruiting, and reduces toxicity from exposure to pesticides. The main feature of Impulse PGR is that it launches the mechanism of mobilizing all plant potentials inherent in the genome due to nature and selection. This product greatly enhances the N-pump performance, accelerates the transportation processes, and activates the RNA synthesis, thereby intensifying the physiological processes of cell growth and division. By increasing the penetration ability of cell membranes, the plant absorption function is amplified, which significantly improves the inflow of nutrients and metabolites into the individual cells. This allows the plant to develop a strong root system and to ensure the development of the maximum number of productive stems. Impulse PGR has a strong fungicidal effect, which reduces the amount of protectant needed by 50%, without reducing its protective properties. The product promotes protectant penetration into the grain, filling themicrocracks, thereby providing a longer etching effect. It provides plant protection from diseases, pests and fungal infections, promotes more rapid swelling of seeds in seedlings, and acceleration of all biochemical processes, reducing the time of germination, providing the appearance of dense and healthy seedlings. Impulse PGR has a profound impact on the most important processes in the body of plants and mobilize all its potentials during the seed treatment. Due to increase of the penetration ability of cell membranes for ions of hydrogen, potassium, and metabolites, the absorption function of the plant increases tenfold, enhancing the transportation processes in the membrane at molecular level, and accelerates delivery of specific metabolites and nutrients into the cell. It activates the synthesis of the basic biomolecules and protein. It accelerates the cell growth and division, developing a strong root system and greatly increasing the number of productive stems. Therefore, development of a strong tillering and increase in the number of productive stems allows reducing the seeding rateby 30% when sowing rice, wheat, barley, reducing the protectant costs and getting the yield increase up to 15 hundredweight per hectare. The research and practical application showed that Impulse PGR is an independent agricultural method of enhancing the crop productivity, regardless of the fertilizer level. The product, entering the soil with seed, promotes the development of microbial populations predisposed to the synthesis of additional growth-stimulating compounds and increases the ability of microbial associations in the field of root growth to the synthesis of antibiotic compounds to certain pathogenic bacteria. When the PGR is applied in combination with pesticides the development of a number of ecological and trophic groups of microorganisms and fungi-endophytes is activated in soil, and the processes of new formation of humic associations are stimulated. This has a positive effect on formation of nutrients in soil, in particular on the content of ammonia nitrate nitrogen. Due to decomposition of nitrogen-fixing phosphate-solubilizing and other beneficial bacteria in soil, the product increases the utilization of mineral nutrients by plants from soil and fertilizers. PGR establishes a barrier in which the fungal spores are disseminated, and confers cells the ability to resist fungal diseases. Under the influence of these factors, a healthy plant is developed, and the walls of cells become stronger to protect them from insects and pests. Besides, under the influence of the product healthy plants produce phytohormones, which, is response to eventual attacks of insect, release steroids, which does not suit their taste. The product stimulates the development of a strong root system, capable of providing moisture and nutrition to the plants from lower soil horizons. Still, when fertilizers are applied, the plants treated with Impulse PGR can provide guaranteed high grain yields at minimum cost. High fungicidal activity of PGRs when dressing seeds enhances the natural defense mechanisms of plants against diseases, which contributes to destruction of 100% of snow mold, gray mold, and septoria pathogens, and inhibits 50% of blight fusarium and root rot pathogens. 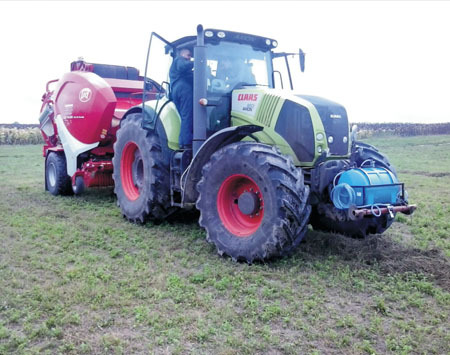 This strengthens the competitiveness of the winter wheat and barley to the weeds. When the vegetative plants are treated, the product, being a "healing protector", relieves the herbicide stress and eliminates the poisoning with chemicals, helps the plants, weakened by hibernation, herbicides and rots, to sustain the oppression easier and safely develop after standstill. The product intensifies all vital processes in plants, greatly enhances the breathing processes and the power of photosynthesis, increases the activity of enzymes, chlorophyll and dry matter content. The root system is developed rapidly and the leaf surface is increased. The drug penetrates through the foliage to the root system of plants, and activates the mechanisms allowing the plants to absorb the minerals, which used to be inaccessible. Consequently, the competitive ability of plants is increased so much that it has an inhibitory effect on the weeds. Advantage of Impulse PGR versus the other plant growth regulators. To grow the grain crops, the farms spend considerable financial resources. These costs are direct and repaid only after sale of the harvested crop. Impulse plant growth regulator is compared favorably to the other plant growth regulators, since it lets sowing 30% fewer seeds, and saving up to 50% of protectants and up 25% of fungicides due to the high fungicidal properties of the product. Thus, its cost component is paid off dozens of times by saving on seeds, pesticides and guaranteed yield increase to an average of 15 hundredweight per hectare. The other plant growth regulators do not deliver such economic effect. Featuring high antitranspiration properties, the product enhances the water-retaining ability of plants by 4-28% and heat resistance by 18-30%, reducing the transpiration rate by 31-66%. It promotes the increased concentrations of plastic substances, increasing the plant resistance to cold stress and frost resistance by 25-30%. Due to the said properties of Impulse, as well as a more developed root system, the grain crops, even in terms of severe drought, are able to produce a good yield. Impulse PGR is a guarantee of reduce costs and increase in the crop yield. High performance of Impulse PGR is provided by its quality and is confirmed by numerous tests and practical application for more than ten years in farms when growing rice, wheat, barley, soybean, sugar beet, canola, and other crops. The originality of Impulse PGR is protected by a patent, specifications and trademark. The use of Impulse PGR in many regions clearly showed that the potential inherent in it meets the highest requirements and its application in the current conditions of agriculture are an essential agricultural technique when growing crops. Guaranteed 8 months’ shelf life from the date of manufacture at a temperature of +2 to +40. It is applied to the seeds once with a protectant and does not require any additional application in the field, in contrast to its peers, by universal machines, such asPN-5, PS-10, PS-10A, etc., but not more than 48 hours prior to direct seeding (can germinate significantly!) at the rate of 300ml per 1 ton of seed. The cost of 10 tons of wheat + protectant + insecticides+ herbicides + nitrate = minimum cost part required for wheat ripening. The cost of 10 tons of wheat (-30%) + protectant (-50%) + herbicides (30%) + insecticides (30%) + nitrate (50%) = cost part required for wheat ripening + up to 15 hundred weight of additional increase in the yield per hectare.